Our Weibo User 淘宝店变形金刚改造工厂 has done it again. This time bringing us rear views of the packaging for Transformers: The Last Knight Voyager Class Scorn and Deluxe Class Bumblebee. In an unexpected turn of events, the Wave Partner for Wave 3 Voyager Class Scorn is none other than our elusive figure Voyager Class Nitro. 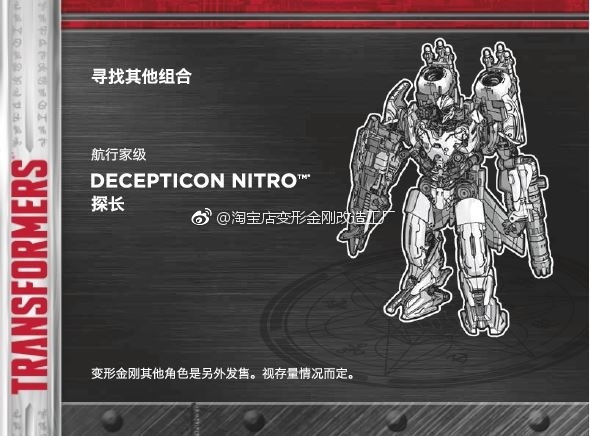 The user has also re-shared his earlier leak of “Also Look For” image of Nitro, but this time the language is Chinese instead of English + various international languages. 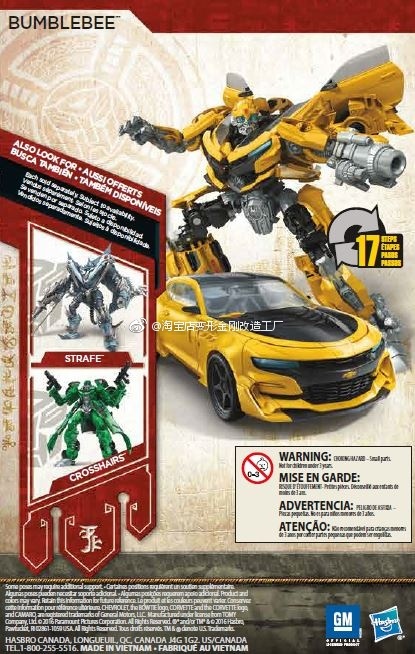 Deluxe Class Wave 3 Deluxe Class Bumblebee will join his partners Strafe and Crosshairs. Now, this brings us to an interesting situation. Where does Voyager Class Bumblebee fit in? Is the listing wrong? Is Voyager Class Nitro not part of the TRU Exclusive Mission To Cybertron subline? Only time will tell. In the mean time, enjoy the mirrored pics after the jump. Guys. Double hinge. MPM-3 doors. Mother of god. HYPE!!!! 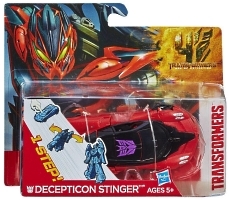 Again, AOE One-Step Changer Stinger was a Walmart exclusive in the US (although some were shipped to Target by mistake) but availabe as part of a general retail wave here in Germany. True. But weren't they just released as they were, not mixed in with an existing wave of something and all the cross sells altered accordingly? Surely whatever's the US exclusive would still just be released in its own wave, rather than them buggering around replacing an existing figure in wave 3 with a US exclusive and then releasing Scorn's US wavemate i a different wave. Seems a lot of unnecessary messing around. I can't see them doing that, they've not done that before, and if they did, wouldn't it make more sense to keep the same wave mate with Scorn and release whatever's not part of the main line in the US in its own separate wave? Nitro is a big want. if his figure looks as good as it seems it might he'll be perfect for a custom character I have named Low Road. IDK why I like Nitro so much, I am dissapointed he isn't shockwave, and I know he is just gonna be cannon fodder(you can just tell) But I must have his toy, and I will relish in happiness for all 30 seconds of his screen time like I did with Junkheap. 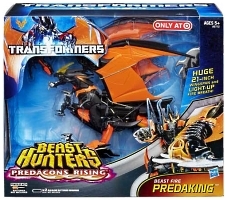 I'm not 100% sure, but I always thought one of the reasons the AoE line was so short was because Wal-Mart and TRU told Hasbro they did not want a repeat of DotM's shelf-warming. To me it is just clear that there is another wave after 3 because we know that Hot Rod is a Big deal to them in this movie, not a little character, if he's not in wave 3 there must be a 4° one. This guy would like to have a word with you. But in all seriousness, I would like to remind everyone that we have no indication of any Voyagers being planned for the Mission to Cybertron subline. I stand corrected lol though I still can't imagine them going to all the effort of swapping a figure out in one wave internationally, only to release the one it was swapped with later when the other way round would be more straightforward. And, yes, as you say there hasn't been anything else to suggest there will be any voyagers in the Mission to Cybertron line. That Bee actually looks pretty cool. I think Nitro is part of MTC stateside but is a mainline figure in international assortments. That's partly true another piece of that was the fact age of extinction fell under generations. 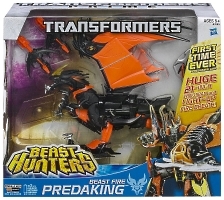 And was short because combiner Wars was due out or fast approaching. Sense tlk falls individual from generations rather runs side by side with generations there is room for more product and a subline. Id like to think there are more figures after wave 3 but it can't be confirmed nor denied if there is. The upcoming show should / could shed some light on the subject. I mean it's said the Transformers panel is an hour long so naturally some of that must relate to the movie. And I think in someway shape or form a character with a largely recognizable name will get a figure and wouldn't have gone out of the way to say said name if it was some background character. I just think nitro got it first because it's a new name and character but as always it's better to wait and see before anything else is decided. If it turns out they are keeping the rest a big secret, they are doing a pretty good job at the moment. I mean, Toy Fair did say that wasn't even half of the whole line, right? And now I just have this in mind, but I feel all of MTC will all be repaints. True we will get a Bumblebee and Hot Rod 2 pack. But I currently see it as like a repaint. Like a metallic Bumblebee or a Hot Rod with yellow stripes. Edit: I know that most Movie lines had up to 6 waves of everything. AOE was an exception. Not because it may not have done so well, but because there weren't that many characters in the movie. All I know is if Voyager Bumblebee is actually true, we could see more after wave 3. 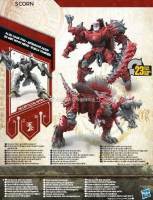 Or, TLK line does actually end at wave 3, I will have to look at Takara to see if they have anything planned. But I do ask why Nitro over he who must not be named? I can't tell from the small pic; is that a new mold for Crosshairs or just a reuse?